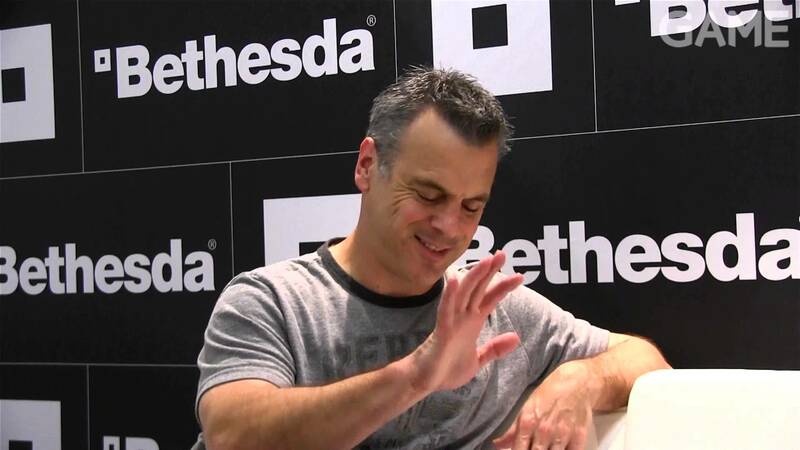 Bethesda's Pete Hines Infuriates Fallout 4 Fans; "Not Interested In Discussing How Realistic Things Are"
Bethesda’s vice president Pete Hines has displeased a bunch of Fallout 4 fans, by stating that he’s not interested in discussing how realistic things are in a game such as Fallout 4. Hines is accused of not caring for the franchise enough. On Twitter, Hines was asked about a personal log that appears in Fallout 4. According a Fallout 4 player the log describes something that didn’t occur until the events of Fallout 2. Afterwards the same fan refers to how unrealistic the “Kid in a fridge’ quest really is – a quest where a ghoul kid survived for 200 years in a fridge without food or water. Hines simply replied that he’s “not interested in discussing how realistic things are in an alternate universe post-apocalyptic game with talking mutants and ghouls”. This very response seems to have angered a lot of Fallout fans, accusing Hines of not caring about the lore of Fallout. Some of the reactions can be seen below. @DCDeacon ever heard of "internal consistency"? @DCDeacon So basically what you're saying is "I got called out but I'm going to say it doesn't matter anyways"
Bethesda’s vp later defends his statement by stating lore and consistency is extremely important to Fallout. According Hines, Bethesda cares a lot for Fallout’s lore. His answer, though, was about how a writer can make fun with a quest premise. @NeroOfTheRomans i was making light of the comment. writers are allowed a little latitude to have fun making up a quest premise. that's all. @Gzalzi no, i was simply saying let's not go overboard picking apart quest premises and how realistic they have to be. that's all. Hines later says he doesn’t have an answer to the first question asked anyway, since he doesn’t know the context. The discussion didn’t end there though, as Bethesda is accused of not caring about the Fallout franchise enough. Hines replies that they cared enough about it to take a risk when nobody else was. @Doomzzg we cared about it enough to take a risk and do something with it when nobody else was. @PureChristianG that was cancelled well before we acquired the rights. Hines posts some tweets about nothing really happened and says people took his tweet the wrong way. @sneakyblackhat i didn't. someone asked about a quest where a kid was locked in a fridge 200 yrs and how could that be. @sneakyblackhat people took my response to one post as a reply to a previous post. it's nothing. This isn’t the first time that Bethesda’s vice president speaks out on Twitter. Recently Hines also reacted to the massive amount of Fallout 4 leaks and stated to be “upset”. Bethesda’s vp also commented on the recent Fallout 4 performance reports. So did you grab some popcorn? What are your thoughts about Fallout 4’s lore and consistency? Hit the comments.